AGG: Can you tell us about the campaign for clarity and why the labelling of organics is so important? We’ve launched the Campaign for Clarity because we believe that organic beauty should mean just that; cosmetics and personal care products that comply to strict standards and a certification stamp that gives consumers the confidence to know that what they are buying is truly organic, from the beautiful plants and herbs used in the formulas to the non-organic ingredients that are left out. 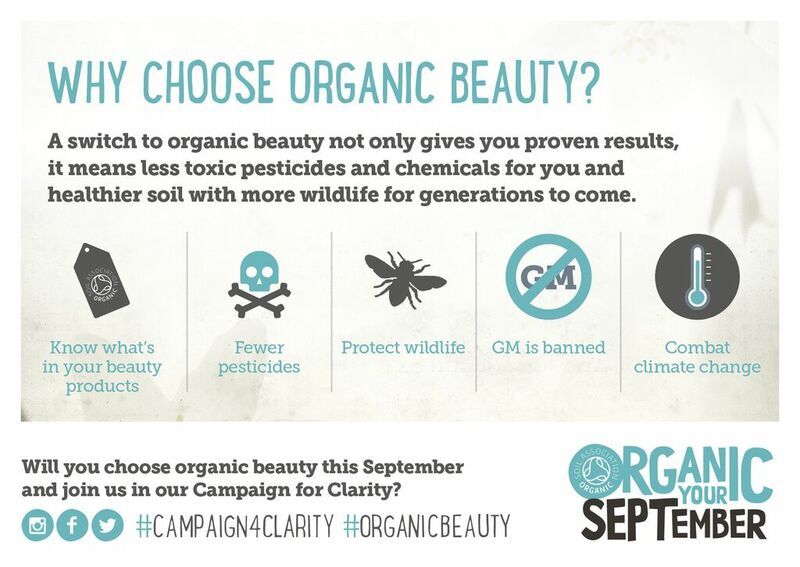 Organic has become the buzzword in beauty for brands to use, but it doesn’t always stand true. Unlike organic food, there is currently no legal standard in place to protect shoppers against fake organic beauty claims on brands, making this flourishing green market more like the wild west of the beauty aisles. To label the whole product as organic when it only contains tiny quantities of organic materials is misleading to shoppers but it also begs the question, what other less favourable ingredients does that product contain? Certification with an accredited organisation is the only way to ensure your beauty products are truly organic and contain ingredients that are kinder to your skin. Certifiers like the Soil Association work to standards such as COSMOS which provide detailed requirements on ingredients and manufacturing processes, meaning the quality and values that organic embodies are preserved and you can trust that what you are buying is the real deal. We hope our Campaign for Clarity will show the industry once and for all that greenwashing just won’t wash and reclaim it from the non-organic fakers. AGG: There are many products on the shelves claiming organic, but what should people look out for to ensure the brand is genuine? 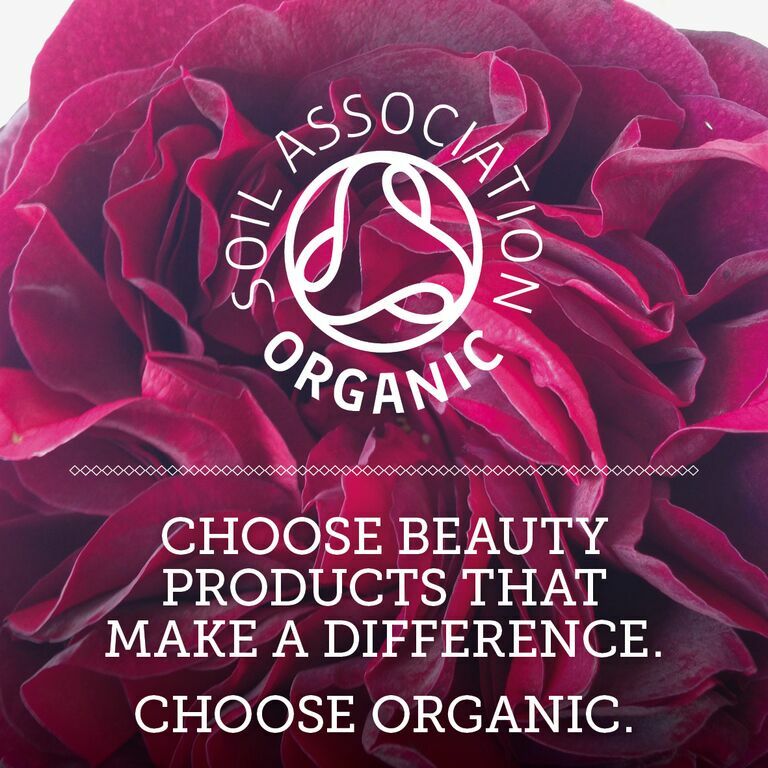 Certification with an accredited organisation is the only way to ensure your beauty products are truly organic, always look for a certifiers marque or symbol on the packaging, like the Soil Association’s organic logo. Seeing this on pack means that the products has been certified by an independent body and meets the requirements of an organic standard, which covers areas such as ingredients, manufacturing processes and packaging. AGG: What are the main differences between a certified organic ingredient and one that has been conventionally farmed? The key difference is that with organic beauty products, you know where your products has come from and what it contains. Truly organic beauty products contain plant and herb ingredients that do not use pesticides to be grown and are GMO free. This is important because it safeguards the workers and protects wildlife, all essential for our planet to survive. Organic beauty products typically contain higher grades of essential oils and, due to restrictions on the ingredients used, have cleaner, greener formulations, with less filler ingredients. AGG: The issue of traceability and quality control is incredibly important in organic beauty products. How do you ensure your licensees are compliant with organic standards? All our licensees’ products have to comply with the standards in order to use our logo and our team of experts work closely with the brands to ensure that each products does this. Each brand or ingredient supplier is also inspected once a year to make sure that they follow the standards. Quality control and traceability are so important that this is never compromised on. AGG: The Soil Association have recently joined with other organic certifying bodies to create the COSMOS standard, what is the benefit to the consumers? COSMOS provides the first international standard for organic beauty, which means that whether you buy an organic beauty product in France or the UK, the organic ‘rules’ for how it is made are the same. By creating a harmonised standard (Soil Association was a founding partner in COSMOS) shoppers around the world can trust that their beauty products have been made to the same high standard wherever they live. AGG: The Organic beauty sector has seen a significant increase in the last few years which is fantastic. Why do you think customers are turning increasingly to organic products for their personal care needs? Consumers are seeing more and more benefits in organic beauty, which is in part due to the increase of brands available and their excellent performance. Organic beauty used to be about compromise but now the products are as sophisticated and performance driven as non-organic products, with beautiful textures, fragrances and packaging. A real pleasure to have on your bathroom shelf. Many consumers turn to organic beauty due to a life change, pregnancy or illness for instance, or if they have sensitive or reactive skin as the formulas are often kinder and gentler to skins. More and more consumers with ‘normal’ skin types are also joining these ranks as they discover how amazing these products are. 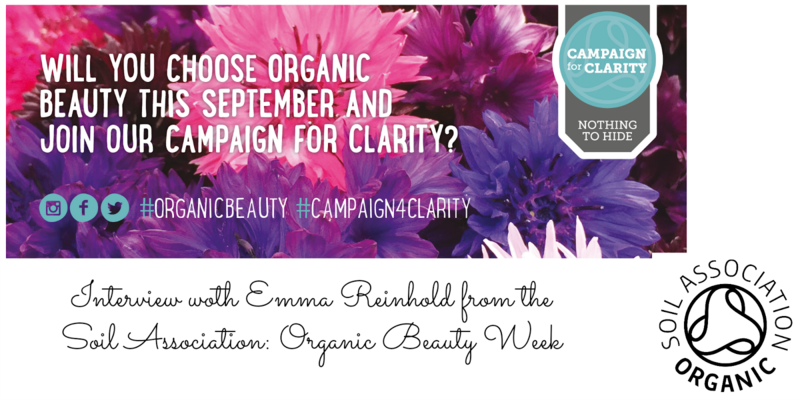 AGG: How can people get involved with the campaign for clarity and what can we expect from organic beauty week? People can get involved in the campaign for clarity by looking out for the Soil Association logo on beauty products and by showing their support by tweeting and instagramming #campaign4clarity when they see our logo on pack. We’ve teamed up with our certified organic beauty brands during Organic Beauty Week and will be offering you the chance to take part in competitions, offering discounts and arranging show stopping events which will shine the spotlight on organic beauty. We’ve teamed up with celebrities including Jasmine and Melissa Hemsley aka Hemsley + Hemsley who will be running events throughout September and Organic Beauty Week so go to www.soilassociation.org to find an event near you. Thank you Emma for answering my questions and I am having a great week joining in with the campaign for clarity! Next Post Weleda sponsors the Model zone at London Fashion week and a giveaway!